If you are anything like I am you not only enjoy walking thru cemeteries you take a lot of photos. I also enjoy reading the epitaphs on stones. Many of the older stones are quickly losing their epitaphs to time, weather and stone erosion, so I take a notebook with me to copy down the readable ones. 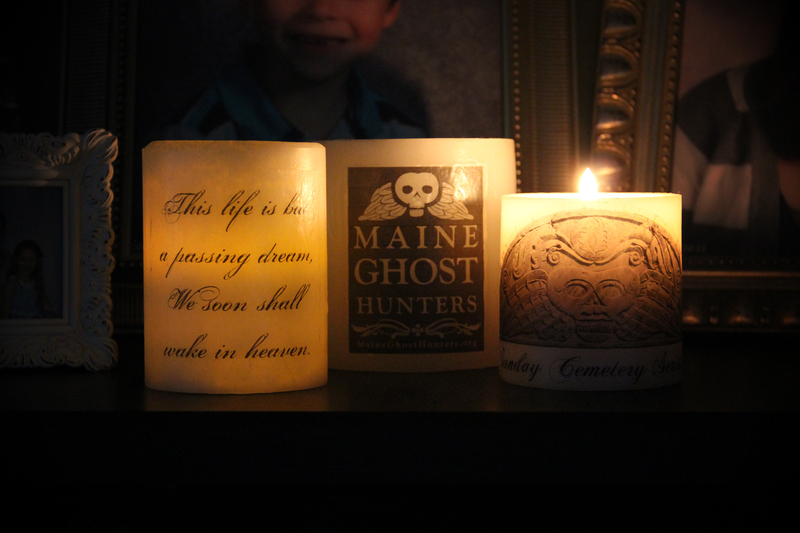 This blog posting will show you how to incorporate your cemetery photos as well as special words from headstones, into beautiful candles you can use or simply display. Your supply list will include a candle, tissue paper, low tack adhesive or tape, scissors, a sheet of cardstock or printer paper, and a heat source. 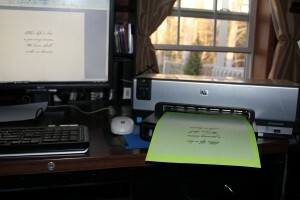 To start, you will need to cut a sheet of tissue paper to fit onto the paper you choose to run through your printer. 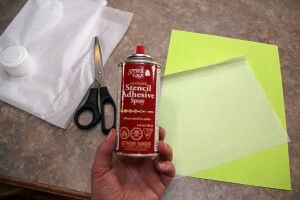 If you don't have spray adhesive on hand, make sure you carefully tape down all corners of the tissue. 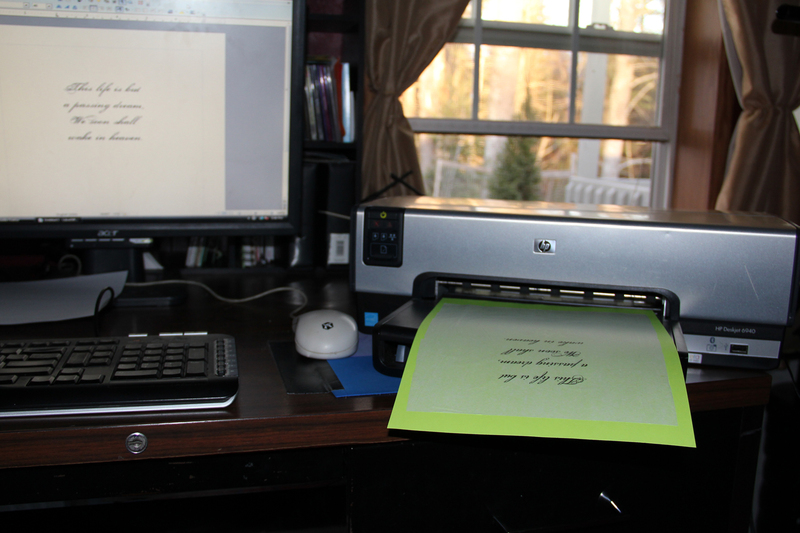 Once your paper is prepared, it's time to run it through your printer. 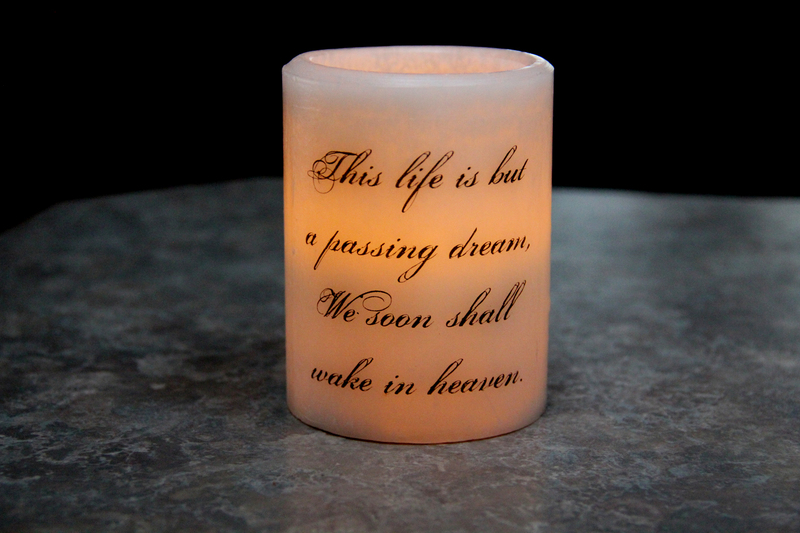 At this point you will need to choose the image or epitaph you want to add to your candle. Print using regular print setting, there is no need to reverse your image. I suggest you do a test print before using your tissue to make sure your project will fit onto your desired candle. 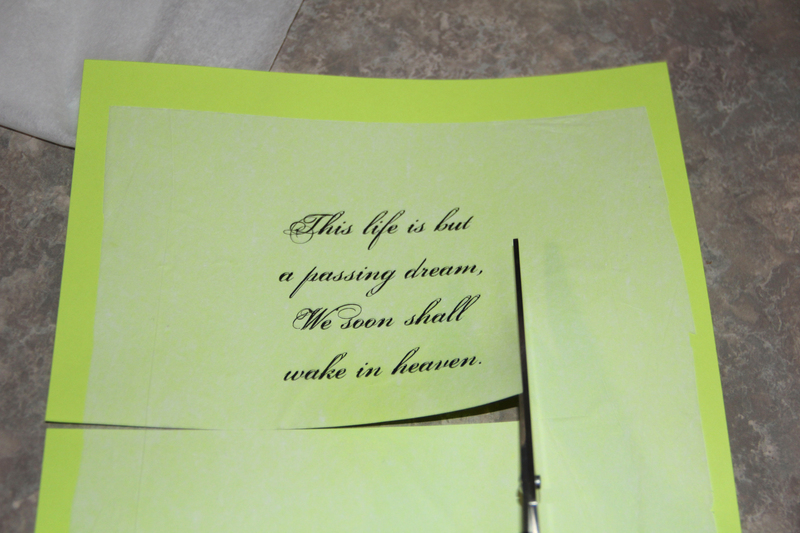 Trim the printed portion closely with scissors or a paper trimmer and then gently peel it off of the paper backing. 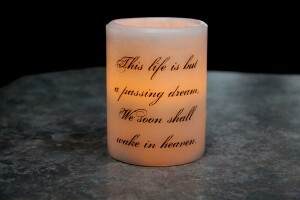 Place your printed tissue onto your candle into the desired position. 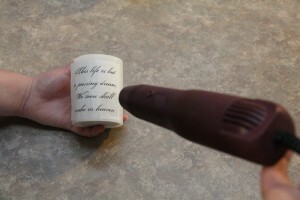 To adhere the tissue you will need to use either a heat embossing tool or a hair dryer on the hottest setting. As you apply heat to the tissue, the wax behind it will melt. Make sure you take your time and do this slowly to avoid drips. This will take patients. 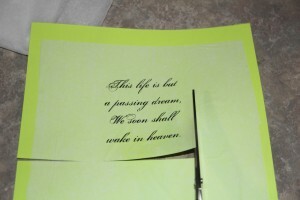 You may also need to tap the corners of the tissue down and smooth them out with your finger tips. There is no need to worry about the tissue burning as the candle burns down. The wax safely coats the tissue. The candle used in this project is a battery operated one, so should last for many years to come. Here is the work of one of my favorite carvers, Caleb Lamson. 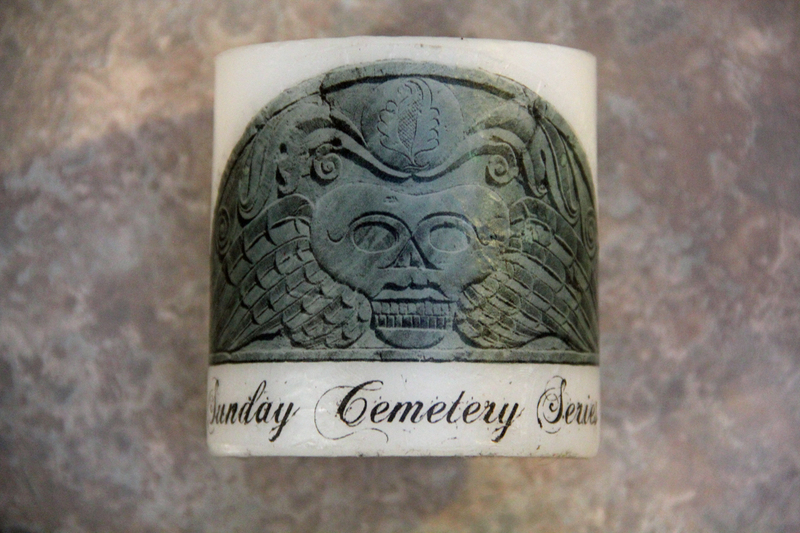 I used this gorgeous winged skull as the logo for the Sunday Cemetery Series. The photo at the very top of this post was taken during a power outage… how great to have useful and functioning art from my favorite place – the cemetery! 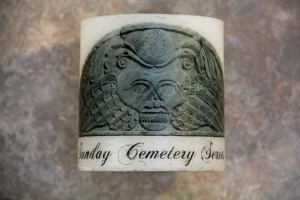 Enjoy your cemetery art and let me know what you make for a candle. 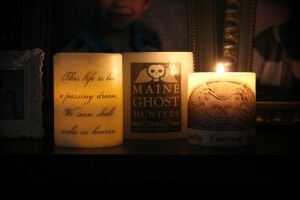 You can post your photos on my Facebook page – Windy Maineghosthunters – I'd love to see your creations. You can also follow me on Twitter – MGHWindy. Enjoy!